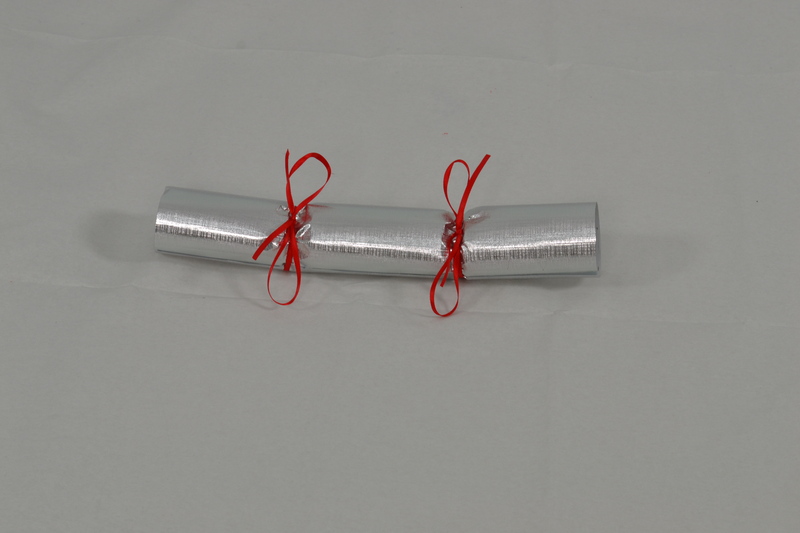 Get Christmas dinner started with a BANG using your very own Christmas crackers. Bored of useless plastic toys and tired jokes every year? Our homemade Christmas crackers couldn’t be easier to make, and will sit pretty on a festive dining table as you tuck into turkey and pigs in blankets. Why not tailor each cracker to its recipient with unique jokes and toys you know they’ll love? It’s a much more personal touch than a bought festive cracker and much more fun to make. A beautiful homemade cracker with plenty of ‘bang’, you’ll be the hostess with the mostess in no time with these! Toys, jokes and party hats! Cut the kitchen roll tube into three parts. Have two of equal size and one slightly larger piece (at least 2 -3 cm larger). The larger piece will be used as the centre of the cracker. 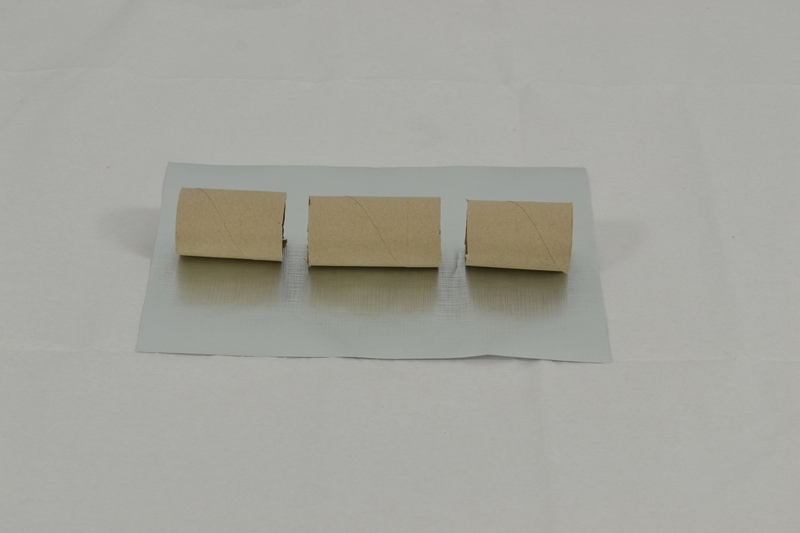 Score the A4 wrapping paper into 3 equal sections and place the three pieces of tube into the centre of each section. Remember to put the larger kitchen roll tube in the central section, and leave enough of a gap between each tube so that you'll be able to tie the ribbon in between later on. There's no need to secure the tubes to the paper yet however. Tape the ends of the cracker snap to the paper. Only tape the ends otherwise it won’t make a snapping sound when you pull it. Place the cracker snap about an inch in from the long edge of the paper. Tightly roll the paper around the tubes. 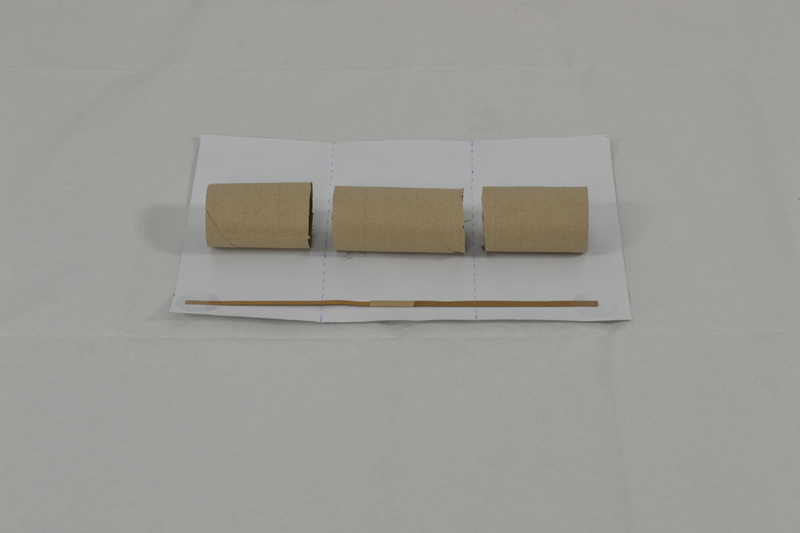 Before rolling, stick your tubes to the edge of your paper on top of the cracker snaps. Then afterwards, use a glue gun or sticky tape to stick the opposite seam of the cracker. You’ll need to stick the entire seam to secure all three tubes. Use your ribbon to tie a bow around the central kitchen roll tube. Make sure to tie the ribbon tightly so that the wrapping paper bunches together in the middle. This will prevent your cracker prizes from falling out before it's pulled. Before tieing the second ribbon, carefully drop your gifts into the cracker. Once you're happy with the contents of your cracker, tie up the second ribbon. Again, make sure you tie the ribbon tightly in order to close up the end of your cracker.